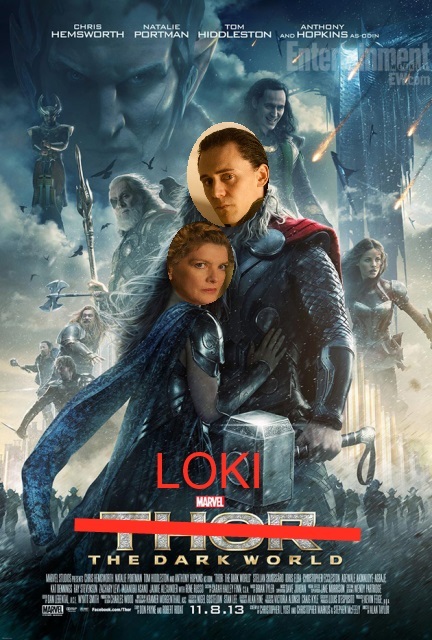 It’s a super-sized Thor The Dark World review with easttexasdirewolf, Erinyes, fortytwo, inkasrain( Michal), No True Lady, Shellfish, Teddard and Tori. Prepare to hear about a movie that all the hosts claim they enjoyed…yet have massive issues with. Also, there will be fangirling. This entry was posted in Comics, Movies, Podcast, Science Fiction and tagged easttexasdirewolf, Erinyes, fortytwo, inkasrain, No True Lady, Shellfish, Teddard, Tori. Bookmark the permalink.